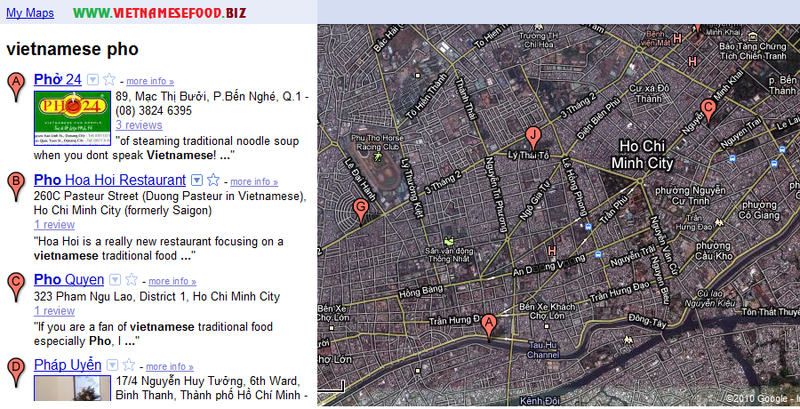 We have no intention of introducing all the good pho restaurants in HCM City. The following are some places for your reference. These restaurants offer different kinds of pho. We also mention pho restaurants foreign diners like and a shop specializing in chicken pho soup. Almost It has Price from 1USD to 5 USD per bowl. With a history of nearly 50 years, Quyen specializes in beef pho soup. The shop is named after the first child of a family of five sons whose father is a northerner and whose mother a southerner. The owner of Pho Quyen now is Duong Huu Phuc, Quyen's brother. Phuc has a 20-year experience in the trade, including being the chef. Address: 33 Hoang Van Thu, Phu Nhuan Dist. Tel: 8423962. 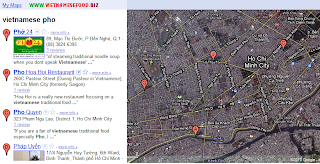 Established during the 1960s, Pho Hoa has been a favorite address of Saigonese with high income. At first, the pho shop was named Hoa Loc. After many ups and downs, the word Loc was dropped and only Hoa is retained, which is shorter and easier to remember. At Pho Hoa, pho tai (rare beef pho) is finely chopped and treated with spices to make it more delicious. Address: 260 Pasteur, Dist. 1. Tel: 8297943. Address: 7 Ton That Tung St., Dist. 1. Tel: 8324139. Set up before 1975 by Chau Thanh Canh as the owner and chef, Thanh Canh now has three shops. Canh says he knows how to combine the tastes of Hanoian and Saigonese pho while remaining faithful to the bone-stewing method of the north. Pham Xuan Tien, manager and chef of Pho Tau Bay, says that in 1950 his grandfather opened his pho shop in Hanoi, which did not have a name. Tien's grandfather was given a pilot's helmet by a friend. He liked the helmet very much and often wore it. Diners called him tau bay, which means "aircraft," and he named his pho shop after it. 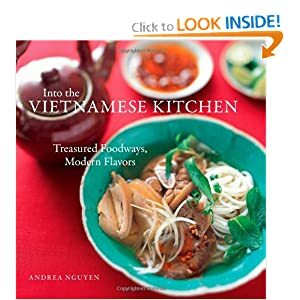 In 1954, Tien's family moved south, bringing with them the pho trade. They set up the Tau Bay shop. 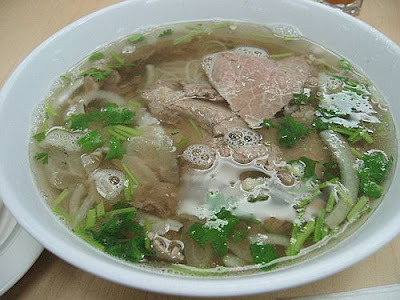 This is one of the best-known pho ga (chicken pho soup) in Saigon. Set up in 1982 by a woman native to the northern Quang Binh Province, Huong Binh is now owned by her son, Tran Van Quy. Quy says the main element for the broth of chicken pho soup is chicken bones. He doesn't use star anise or cinnamon as in beef pho soup. Only ginger is used, he says. Huong Binh is frequented by some foreigners, especially Japanese. Address: 148 Vo Thi Sau, Dist. 3. Tel: 8298762.